The T100 thermal cycler is the smart PCR choice. This compact, 96-well thermal cycler offers a comprehensive package of features, including an easy-to-use touch screen, thermal gradient, and reliable performance. 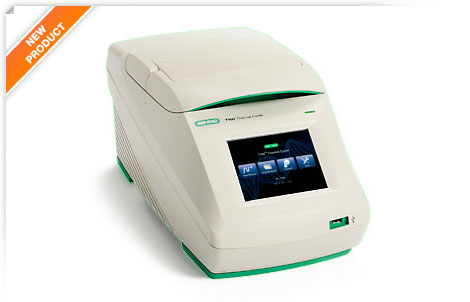 Running PCR experiments has never been easier.